June 14th – 21st 2010 [and 2012] is the UK homeopathy awareness week, so I thought it might be a good idea to try and raise awareness of homeopathy. Homeopathy is based on the principle of similia similibus curantur (likes are cured by likes). The hypothesis is that symptoms of illness are caused by a derangement of the ‘vital force‘ assumed to be present in a living organism and substances which elicit the same derangement (i.e. symptoms) will rid the body of the illness. This was originally identified in the context of homeopathy by Hahnemann with reference to cinchona bark (source of quinine) and malaria. The previous proposed mechanism of effectiveness of quinine against malaria was its bitterness, but Hahnemann sensibly identified that other bitter substances did not offer the same protection. Instead, after taking cinchona and experiencing a reaction similar to the reaction he associated with malaria, he hypothesised that it was this similarity in symptoms that made cinchona bark effective. The Peregrine Falcon is widely renowned for its incredible speed. Estimates vary, but commonly cited top velocities are in the range of 290-320 km/h (180-200 mph), achieved only during the characteristic swoop (hunting dive)…the Peregrine Falcon is the fastest creature on earth. I heartily recommend reading the entire page about the proving of peregrine falcon blood – it is an education into how homeopaths derive their information about the treatments they prescribe (and it is ludicrous to the point of hilarity). Is this really a rigorous approach to testing healthcare products or is this more about symbolism, appeal to the mystical and delusion? Evidence based medicine occasionally does use elements of similia similbus curantur such as with inoculation and vaccination – where a small or denatured dose of a disease causing agent is introduced with the intent of stimulating an autoimmune response that will prevent the full blown disease from becoming established should the person come into contact with a large active dose of the pathogen. Also, many physiologically active compounds have medicinal uses because they act on particular organs and metabolic pathways via a biochemical route that can have apparent similarities to the illness being treated. 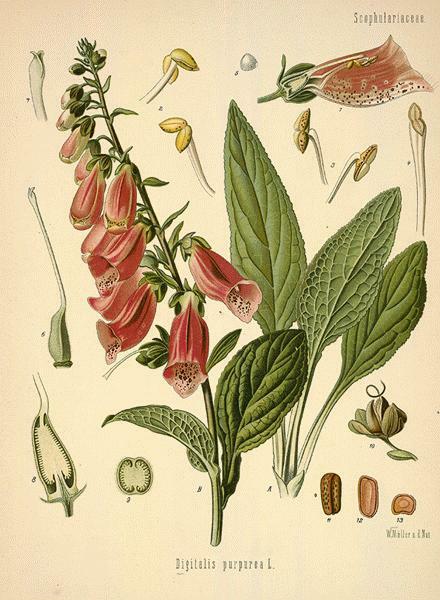 For example, digoxin is a cardiac glycoside found in foxgloves that decreases heart rate and increases force of heart contraction – fatal in large doses, but useful for treating atrial fibrillation in small doses – so at a very gross level this could be considered ‘like treating (rather than curing) like’. It is also vaguely plausible that a substance which elicits a physiological response which mimics symptoms of an illness that arise as part of the body’s immune response (such as raising temperature) may have the effect of fighting an infection (although I have not seen any evidence for this). Hahnemann’s experience with cinchona happened in 1790 when the medical community of the time was still dominated by the miasma theory and humourism of the Middle Ages. Vitalism was a standard of the medical profession at the time, with good health being dependent on balancing the four vital humours. The idea of a biochemical autoimmune system did not take shape until a century later, but when it did it revolutionised the medical field, bringing about treatments with previously unprecedented success (eradication of smallpox anyone?). Hahnemann had no idea about the mechanism by which the body actually heals itself, he also had no idea that malaria was not caused by a miasma, but by a microscopic parasitic protist of the genus Plasmodium. In short Hahnemann was trying to fit his limited observations into a theoretical framework consistent with the body of assumed knowledge available at the time. The same way that scientists have always worked. However, over time the body of knowledge has changed – vitalism has been rejected as evidence has been amassed which demonstrates that all of the functions historically proposed for vital energy are demonstrably biochemical in nature. Disease is now well recognised as being caused by bacteria, viruses, proteins and biochemical abnormalities rather than by derangement of ‘vital energy’. The idea of a vitalistic treatment for a biochemical problem seems rather at odds with the facts, particularly since there is no evidence to suggest that vital energy even exists. 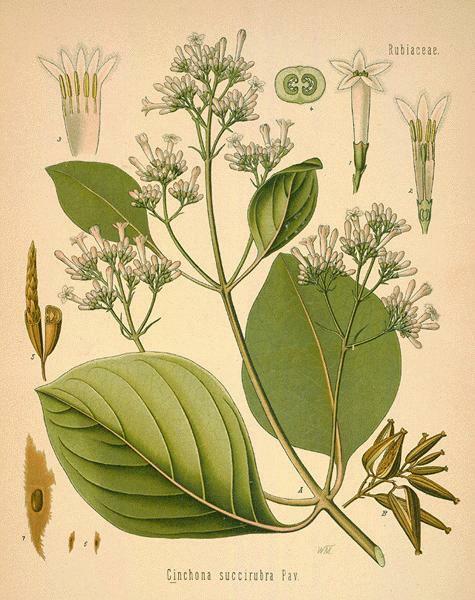 Sticking with malaria, we now know that the antimalarial component of cinchona is quinine, which is no longer effective as an antimalarial due to the resistance evolved by Plasmodium – how such immunity might have evolved in response to vital energy is hard to fathom. Homeopathy also subscribes to the principle that the smaller the dose, the more effective it is at influencing the vital energy – to the point where homeopathic remedies are diluted until they no longer contain even one molecule of their active ingredient. Indeed it would take a ball of water the size of the solar system to contain one molecule of active ingredient in the more ‘potent’ homeopathic remedies – making them even less tangible than the Emperor’s new clothes. Of course this idea of smaller doses having a bigger effect flies in the face of everything that is demonstrated in evidence based medicine, where dose dependent effects increase with increasing dose size, through a therapeutic window until a plateau is reached or there is an overdose. The Ten23 campaign was all about this misplaced faith in super-dilution. If homeopaths were able to demonstrate that vital energy exists then homeopathy might have a theoretical leg to stand on, as would chiropractic and a suite of Ayruvedic medicines, but without any evidence for vital energy they remain theoretically unfounded. Interestingly, mainstream medicine was once based on the concept of vital energy, which has only been discarded due to improvements in experimental methods. Vital energy is one of those strange forces in nature that becomes harder to see the harder you look for it – probably because it only exists as a cultural concept that has no relevance in the physical world. This erosion of evidence for vital energy not only leaves homeopathic theory unfounded, but necessarily rejected. Theory aside, if there was strong evidence for efficacy of homeopathic remedies then there would be very good reason to question the laws of physics and our current understanding of biology and medicine. However, there is no persuasive evidence for homeopathy’s efficacy. As such it seems bizarre that people still hold on to this outdated and superseded faith-based system of medicine; but then again there are still Flat Earthers, Faith healers and people who drink their own pee, so I suppose it’s no great surprise. There are dangers however – if people choose to use homeopathy in place of medicines that have evidence of efficacy, they run the risk of harm or even death – and I think that’s something everyone should be aware of. Excellent post. And thanks for making me aware that it’s homeopathy awareness week. I really needed to know that. That’s one of the reasons I posted this blog a bit early – good to pre-empt the woo mongers! It strikes me that a co-ordinated effort to properly crash Homeopathy Awareness Week, stealing it for our own uses, would be an excellent thing to do. Probably too soon for this year, but next year maybe. I think that it would be a sensible idea for next year, although I don’t see it as crashing Homeopathy Awareness Week or stealing it for our own uses – I see it as raising awareness of what homeopathy entails, which I think is entirely in keeping with the theme! This is utter rubbish. Homoeopathy is a proven field of medicine. those who refute this system are those who support the Conventional Medicine manufacturers lobby. 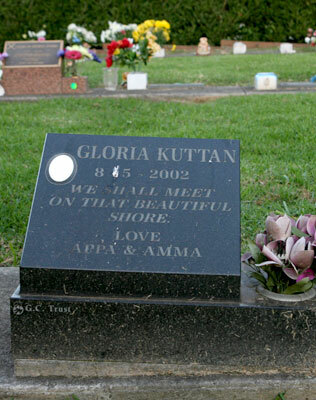 It is unfortunate that the author had to use the grave of a child to prove his point. More over this kind of medical system which is cheap and affordable to the developing countries are a heart burn for the rich europeans. Anil, You are correct. Your post is indeed utter rubbish and thanks for posting the warning in the first sentence. Your reference to the child’s grave is particularly disgusting – what is “unfortunate” is that a homeopath effectively killed his own child because he was evidently as deluded as you are. Paolo hasn’t used her death to ‘prove his point’; he has used rational arguments and your complete failure to engage with any of these is duly noted. Thanks Skepticat – I appreciate your support here, I must admit that I had concerns about using the grave of a child in my post, it’s not pleasant, but I think that there is real need for the true potential cost of faith-based medicines to be acknowledged. Dead babies are a genuine outcome. A great supporter you too. But instead of criticizing these system of medicines try and find some ratioanale behind them. Rather than being thirsty for the money of the under developed and developing countries by selling the so called proven Conventional Medicines. After all how old are these proven medicines? I am sure you must have heard of the recent controversy of the swine flu vaccine sold by WHO to support the medicine manufacturers lobby. Actually, I have tried to find the rationale behind systems of medicine like homeopathy, but the harder I look the less I find. The logical inconsistencies and utterly unsupported assumptions which become apparent when researching homeopathy have meant that I am no longer ambivalent about it, rather I am disgusted by it. I am not saying that conventional medicines are perfect either. I have no motivation to support pharmaceutical companies – they don’t pay me and they are sometimes as guilty of false dealing as the homeopathic industry. What I am interested in is how science can be applied to a problem in an effort to solve it. The idea of a biochemical autoimmune system did not take shape until a century later, ( So how much experience do you have) but when it did it revolutionised the medical field,( who revolutionised the medical field, those who ruled the world with their economic powers, and suppressed all the native and time tested medical systems like Unani and Ayurveda) bringing about treatments with previously unprecedented success. (eradication of smallpox anyone?). Hahnemann had no idea about the mechanism by which the body actually heals itself, he also had no idea that malaria was not caused by a miasma, but by a microscopic parasitic protist of the genus Plasmodium. Yes Allopathy is a system of medicine and so is homoeopathy ayurveda and Yunani may be even Reiki and Pranic healing with goods and bads why criticise and scare others. Allopathy is not a system of medicine that is practiced any more, Hahnemann coined the phrase to describe the hotch-potch system of medicine that had been cobbled together from largely ancient Greek sources, which was the vogue at the time he lived. It was utterly replaced when the germ theory of disease was formulated and shown to be valid after Hahnemann died. If you don’t know this then it doesn’t suggest you really have any idea of what modern evidence-based medicine is about. This is hilarious Anil: “So how much experience do you have” Experience is not about how long you do something for, it’s about what you learn while you’re doing it. Homeopathy has not changed since it was established, which means nothing has really been learned – it’s about faith in Hahnemann’s doctrine, not about effectiveness. Modern methods of assessing evidence and the overwhelming successes of the application of Germ theory etc. are entirely about effectiveness – they change as we learn more. “who revolutionised the medical field, those who ruled the world with their economic powers, and suppressed all the native and time tested medical systems like Unani and Ayurveda” I think you are conflating colonialism with modern medicine – the two are utterly different things. In fact, homeopathy was introduced to India during the period of colonial expansion and the attempted conversion of the Indian subcontinent to Christianity. You are arguing in defense of one of the more successful tools by which various native traditions have become subverted by Western Christian ideology. Oh, and “time tested” is not a valid form of testing unless you are assessing how long something lasts for. Blodletting was practiced for thousands of years as a medical treatment, yet it was almost entirely unhelpful – so much for the effectiveness of time as a test. 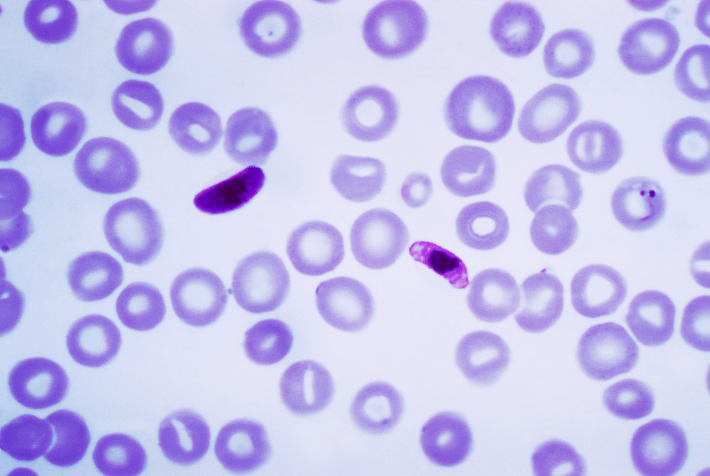 Hahnemann had no idea about the mechanism by which the body actually heals itself, he also had no idea that malaria was not caused by a miasma, but by a microscopic parasitic protist of the genus Plasmodium. And by the way Homoeopathy does not treat the Plasmodium, instead it improves our body immune system to fight plasmodium better. If it was not for the cholustrum from our mothers, our immune system would be dead, that is homoeopathy. Balderdash. Homeopathy does not even recognise the immune system as such, it deals with “vital energy”, which is an archaic and inaccurate early concept for explaining what we have subsequently discovered to be the immune system. Anil, I know all about homeopathy and I know that those who line their pockets by exploiting the ignorance and vulnerability of sick people by promoting this worthless pre-science cult therapy, always try to divert attention from their despicable behaviour by accusing critics of being paid by big pharma rather than responding to the questions raised by us. Thanks for being so reassuringly predictable. Fantastic to know about you all. I agree that homeopathy is based on vital force as described by Hahnemann, but he kept on updating his writings from the first Organon till 6th, but after this who was suppose to take over from Hahnemann and keep the updates, NO ONE DID! Vital force comes from vital processes of life. Our body is materialistic, made up of systems, organs, cells, molecules, and those processes form VITAL FORCE. It is not a spirit like or mythological force. You do realise this blogger is a biologist, don’t you? I have no real problem with the concept of vital force being altered from Hahnemann’s original interpretation which explicitly states that it is spiritual (see Aphorism 11 to 20 of the 6th edition of the Organon). The internal interactions of biological systems are complex and I can see why the emergent properties of these interactions (i.e. life) might be described as a “vital force”, but this terminology implies that the interactions are causative rather than resultant properties (albeit with elements of feedback). (1) Excellent post. Not just an attack or debunking: by trying to understand the rationale claimed for h., and showing how (in the late 18th C!) this could have been plausible, it gives an understanding of what is being debunked which grounds and reinforces the criticism. I learned from it. (2) Great site in general: I have enjoyed it (and been instructed by it) for years! (3) One spelling error: curantuR. Thanks Allen, not sure how that error crept in – I must check my spelling more carefully!